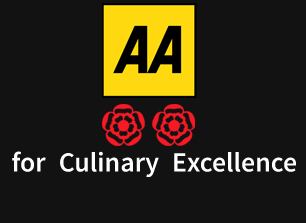 We produce Indian haute cuisine at an award-winning standard. It's what we've been successfully doing for 12 years." Our food is far from simple. Our chefs bring their expertise to the table from all parts of the subcontinent. Our ingredients are organic, bought market-fresh daily, fully traceable and locally-sourced where possible. Our suppliers are the best in their spheres and they are old friends. Their attention to detail and quality is second to none. They care for the environment and health matters. Our meat and poultry producers put animal welfare first. They farm using low-intensity methods; free of growth promoters, artificial hormones and stimulants. We’re proud to list our main suppliers below. At India Dining we ensure working conditions are at the highest standards. Our personnel regularly attend training courses in health, allergy, nutrition, safety and other issues. Our service is knowledgeable and friendly and we enjoy our jobs. We go the extra mile. For example we are almost unique in that we make our own yoghurt, chutneys, pickles and desserts, and we roast and grind our own spices. Our dishes use minimal oil and are free of artificial colours, chemical flavourings and E number preservatives. Our dishes are cooked fresh each day and are served by a highly trained team of professionals. Our menu is deliberately small to enable our chefs to produce each dish individually. Our a la carte menu lists just 6 starters, 6 Tandoori items, 6 mains and 6 vegetable dishes. Our Birianis are legion, our rices fragrant, our breads melt-in-the mouth. For those who want a bit of everything, there is a comprehensive tasting menu (£35). Our menu is changed monthly. At India Dining we are fully committed to sustainability. The restaurant is a member of the Sustainable Restaurant Association and Red Tractor assurance schemes which focus on safety, hygiene, animal welfare and the environment. Both bar and restaurant have attracted top food and wine critics. We love awards. To us they are rewards for our time, care, resources and effort. Venison – Kent Downs, Chart Farm, Sevenoaks. A family-run business that has been producing top quality venison for over thirty years on their farm. Game – from Kent shoots where possible. Partridge, pheasant, pigeon, guinea fowl, quail, etc. Lamb – French Pyrénées Atlantiques. Born and raised in grassy pastures, still suckling, 45 days old and 16kg in weight. The meat is tender, pale pink, flavourful and has a very small amount of fat. Chicken – free range corn-fed chicken from Kent farms. Free range is where the birds roam freely outdoors. The corn diet means the meat is slightly yellow in colour. It’s juicier, and has a more intense flavour. Beef – Rose County Lancashire. Renowned for its constant tenderness. Livestock are only sourced from within the UK and are reared on a predominately grass based diet delivering a consistent. Duck – Cherry Valley Farm Ducks. Peking ducks originating from China. Gressingham Ducks, farmed at the Lancashire village of Gressingham: tasty wild mallard crossed with Peking duck, producing more breast meat, less fat and a gamey flavour. Kid Goat – Chestnut Meats Cheshire. Our suckling kid goat meat is low in fat and cholesterol, but high in protein and sourced from this welfare-friendly specialist farm. Seafood – Upstream Seafoods. Local (Croydon) supplier to upmarket restaurants providing top quality fresh fish & seafood such as Scottish salmon, Gulf king prawns, Red Sea tiger prawns, Devonshire hand-picked crab, diver-caught Scottish scallops, skate wing and other fish. We also source from Canary Wharf’s Billingsgate, the UK’s largest inland fish market. Ice Cream – Locally sourced luxury diary ice cream home-made by the award-winning St Joan’s Farm Reigate using only the freshest milk and cream from their pedigree Friesians, Shorthorns and Guernseys.